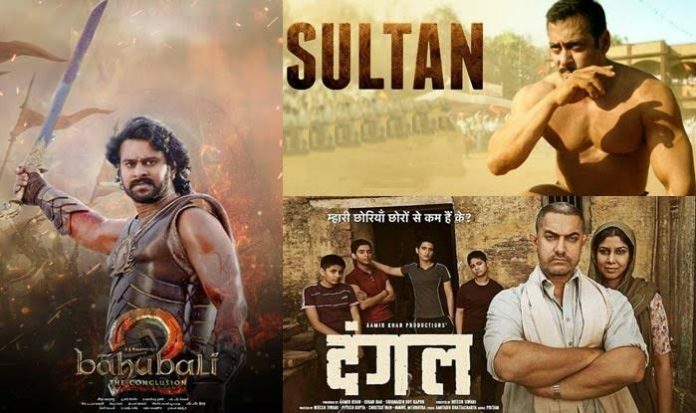 Top Bollywood Grossers: Bahubali 2, Dangal, Sanju and Tiger Zinda Hai are the highest grossing Bollywood movies of all time. Blog to Bollywood presents the list of highest grossing movies of Bollywood. South Indian blockbuster Bahubali 2 is the highest grossing movie with the collection of 511 crores. We have given it a place in the list because the Hindi version of the movie collected 511 crores at the Indian Box Office. 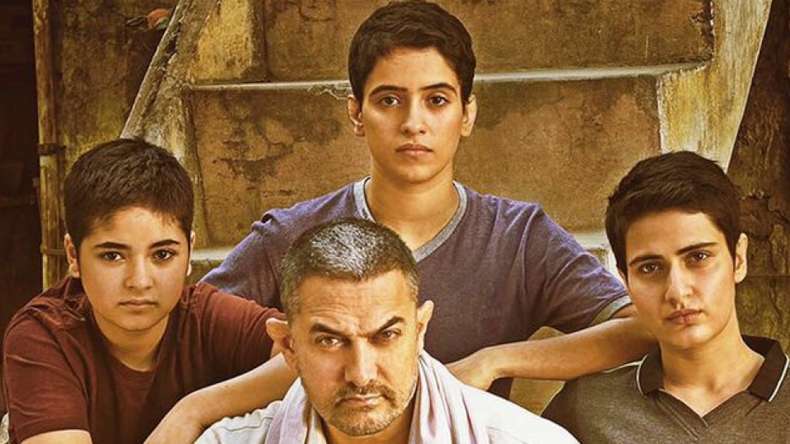 Aamir Khan’s Dangal is the second highest Bollywood grosser with the domestic lifetime box office collection of 387.8 Crores. 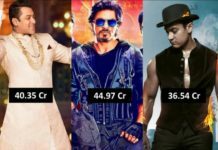 Let’s have a detailed look at the list of highest grossing Bollywood movies of all time. Directed by S S Rajamouli and starring Prabhas, Rana Daggubati, Ansuhka Shetty Bahubali 2 is the highest grossing Bollywood movie in India. The Hindi version of the movie earned 511 crore in India. Not other Bollywood movie has even crossed 400 crore mark in India. Dangal is a biopic of wrestler Mahaveer Singh Phogat. The film tells the story of Mahaveer Phogat and his wrestler daughters Geeta and Babita Phogat. This motivational film worked well among masses and classes. Released on 23 Dec 2018, Dangal is the highest grossing Bollywood movie with the lifetime collection of 387.8 crore. Directed by Rajkumar Hirani, Sanju is a commercial biopic of actor Sanjay Dutt. Starring Ranbir Kapoor as Sanjay Dutt, the film received superb response across the country and managed to cross 300 crore mark despite being a non-festive release. Another Rajkumar Hirani film is in the list. Released on 19 Dec 2014, PK is a story of an alien on Earth who loses the only device he can use to communicate with his spaceship. His innocent nature and child-like questions force the country to evaluate the impact of religion on its people. 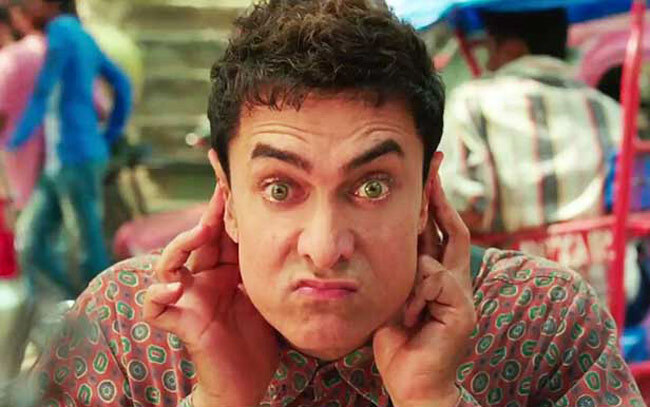 Starring Aamir Khan and Anushka Sharma, PK was a huge hit with the lifetime collection of 340+ crore. Starring Salman Khan and Karina Kaif, Tiger Zinda Hai is a sequel to 2012 blockbuster hit Ek Tha Tiger. The film tells the story of a RAW agent Tiger, who joins forces with Zoya, a Pakistani spy, in order to rescue a group of nurses who are held hostage by a terrorist organisation. Released on 22 Dec 2017, the movie earned 300+ crore in India. Directed by Kabir Khan and starring Salman Khan, Nawazuddin Siddiqui and Harshali Malhotra, Bajrangi Bhaijaan is an emotional story of a Pakistani girl who gets lost in India. The films shows how a man from India faces numerous challenges when he tries to reunite Munni with her family in Pakistan. 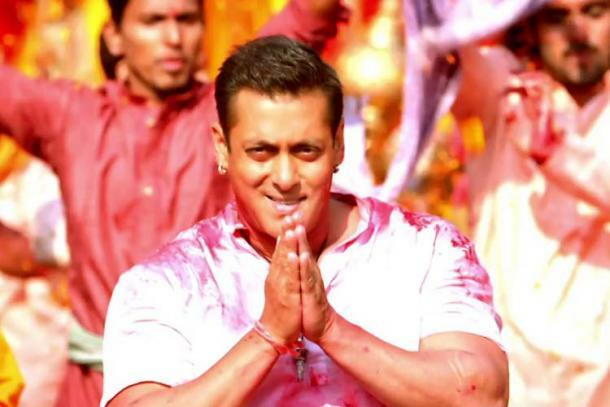 Bajrangi Bhaijaan is among the most loved film of Bollywood. Directed by Sanjay Leela Bhansali, Padmaavat stars Ranveer Singh, Deepika Padukone and Shahid Kapoor. The film was released amidst protest from Hindu religious groups like Karni Sena. The film was well received by the critics and audience and managed to cross 300 crore mark at the domestic box office. Directed by Ali Abbas Zafar, Sultan star Salman Khan and Anushka Sharma in the lead role. 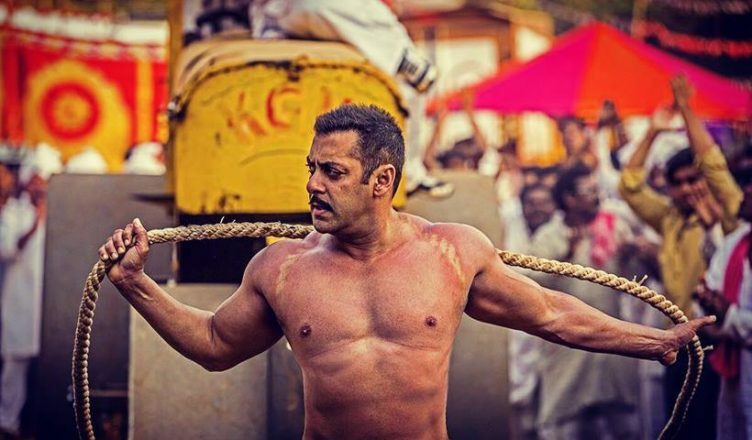 The film tells the of Sultan Ali Khan, a middle-aged wrestler, who gives up wrestling after his son’s death. Years later, he returns back to the wrestling ring to regain his lost respect. Directed by Vijay Krishna Acharya, Dhoom 3 is the third movie of the famous Dhoom franchise. The movie stars Aamir Khan, Katrina Kaif and Abhishek Bachchan in the lead roles. Released on Christmas 2013, Dhoom 3 was a huge hit. It was the highest grossing movie of that time. Krissh 3 is the third film of India’s only superhero franchise Krissh. It stars Hrithik Roshan, Pariyanka Chopra, Kangana Ranaut in the lead roles. Released on Diwali 2013, Krrish 3 was the second highest grossing movie of the year after Dhoom 3. 1) The top Bollywood grosser record was securely held by 3 Idiots for almost 4 years from 2009 to 2013. The record was finally broken by Chennai Express in 2013. Records continued to be shattered in 2013 with Dhoom 3 emerges as the top Bollywood grosser in December 2013. The record was not held long as Aamir Khan’s PK becomes the first 300 crores grosser in December 2014. 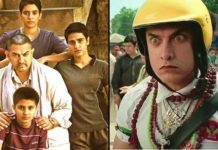 Aamir Khan’s last release Dangal becomes the highest grossing movie of Bollywood on 8 Jan 2017. However, the record was eventually broken by a south Indian blockbuster Bahubali 2 on 11 May 2017. 2) Salman Khan dominates the list with as many as five movies in the list of top 20 Bollywood grossers. Salman Khan is followed by Aamir Khan who has four movies in the list. Other prominent members of this the list are Sharukh Khan, Hrithik Roshan, Ajay Devgn, Ranbir Kapoor and Ranveer Singh. 3) Talking about the actresses, Deepika Padukone rules the list with five movies in the list of top 20 Bollywood grossers. Anushka Sharma has three while Katrina has four movies in the list. Significant changes are expected in this list as some big movies will hit the theaters in coming months. Zero, 2.0, Thugs of Hindostan will surely find a place in the top 20. What are your views on this list of top grossers of Bollywood? Share your thoughts with us in the comments section. Last updated on 12 Oct 2018. I like your all choices of movies. salman bhai k siva koi b is dangal and pk record . Comment:Salman ke jaisa Superstar Bolywood ne kabhi priduce kia nehi aur age kar bhi nehi sakta. Only PK. Bajrangi Baijan .3 idiots .Tanu Weds Manu deserved to be in this list. All the others have poor content or nonsensical story line. Collected huge because of hype and huge ticket price. According to me the most successful actors are only Amir Khan and KAngana for their talents and proven box office pull. And Bahubali too deserved amongst this list for its high production and visual standard. Bahubali is one of the worst and awful movie i ever witnessed in my entire lifetime so far. But Sultan is not showing in the given above records. 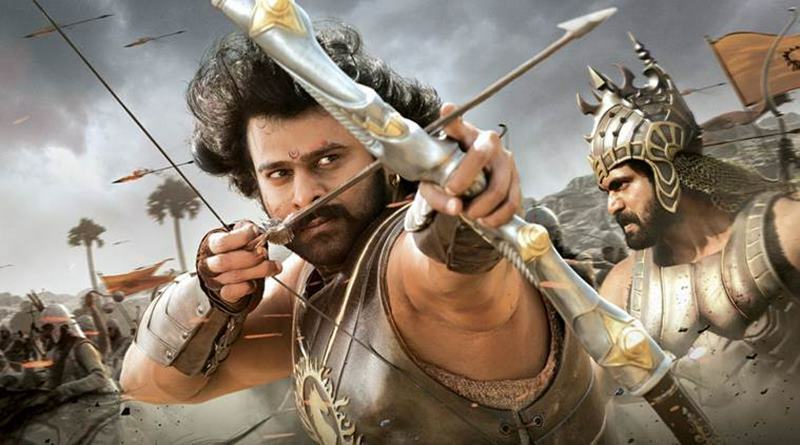 Dear RK Pathak…..Bahubali is not the Bollywood Movie. That is South Movie. There is something missing…one of the best movie of Bollywood & all…… Bahubali…. still people asking & waiting for sequel…. Why did the writer (Kattapa) killed Bahubali from this list even when Dharma production was involved….???? Nation wants to Know…???? here is something missing…one of the best movie of Bollywood & all…… Bahubali…. still people asking & waiting for sequel…. Why did the writer (Kattapa) killed Bahubali from this list even when Dharma production was involved….???? Nation wants to Know…???? It is true that these star break those records itself. No one can beat them.. In super stars ki konsi movie kahan pohach jaye ye khud nai jante ..ye 3 (Salman, Shahrukh and amir) he hai Jo ek dusre k records ko break Kr skte hai…in 3 k alawa abhi jaldi se to kisi me itna dum nai h k in records tk pohach b paye approx 3 se 5 sal tk. Sultan sab ko cheethh kaar de. Sultan is gonna make a new record at the the box office. evrry movie highest collection……but not good stori…..
Great list, thanks for sharing this information. Its not Aamir Khan, SRK, SK LL break each other record, now competition is between Directors Raju Hirani, Kabir Khan, SS Rajamouli, etc,,now film with best content LL b a winner,..
Indian movie Kick is declared as the highest grossing film of the year 2014. The movie earned more than 350 crore worldwide. Kick is the directorial debut for Sajid Nadiadwala and movies features Salman Khan in the lead role. 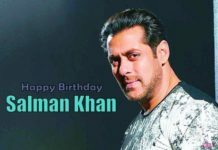 Enjoy more movies by Salman Khan on .